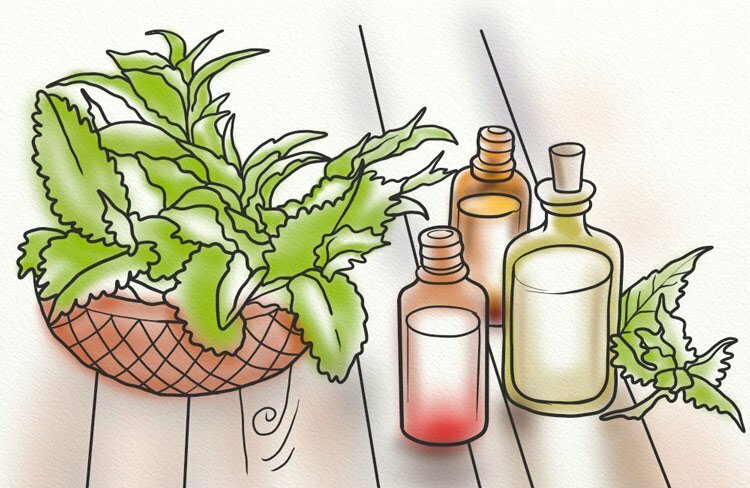 Herbals are non-expensive remedies to deal with hair loss problem and it’s worth it to give them a try before going for hair transplant treatments, harsh chemicals or drug therapies. The following herbs are the best options that you can try to treat your hair loss problem. Enzymes in aloe vera help reduce excess scalp sebum and dissolve dead skin which clogs hair follicles. It helps stimulate blood circulation and is a great moisturizer that works as anti-inflammatory and mild anti-biotic. The structure of aloe vera is similar to keratin, the protein responsible for skin and hair. It makes the herb one of the best remedies to promote hair growth. Works even better when mixed with coconut milk. Burdock Root helps improve blood circulation in the scalp thus improving blood flow to the follicles on the scalp. 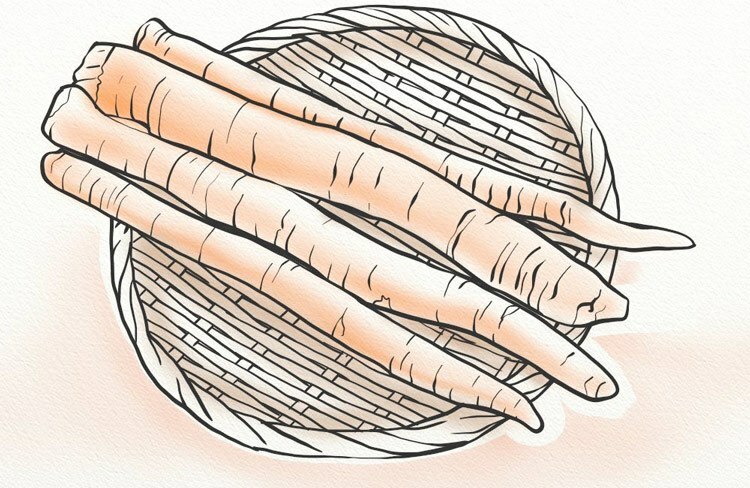 This root is traditionally used as anti-inflammatory treatment. 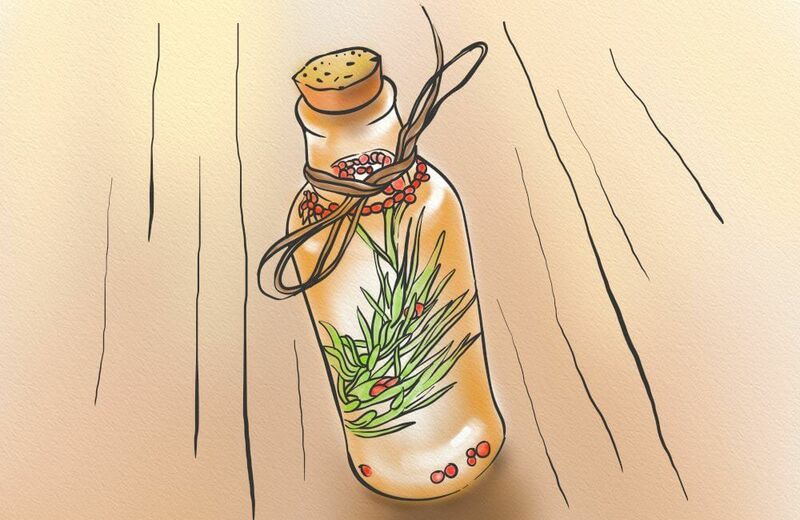 Rich in fatty-acids, it can be also combined with herbs like rosemary to encourage hair growth. The root contains phytosterol that is capable of revising thinning of the hair. Rosemary reduces balding and hair thinning, improves blood circulation and helps in hair growth. Rosemary works even more effectively when combined with olive oil. It’s anti-bacterial, vitamin-rich, anti-oxidant. One or two teaspoons of rosemary massaged into the scalp is an effective solution to hair loss. Nourishes the hair follicles from the shaft. Lavender is a powerful anti-microbial, anti-inflammatory and anti-septic. 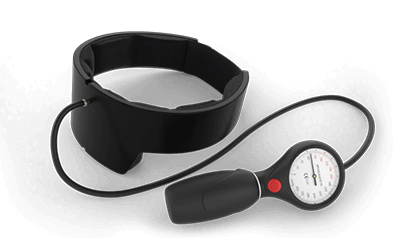 It stimulates blood circulation, helps to balance natural oil production, unclog the hair follicles and improves and strengthens new hair growth. 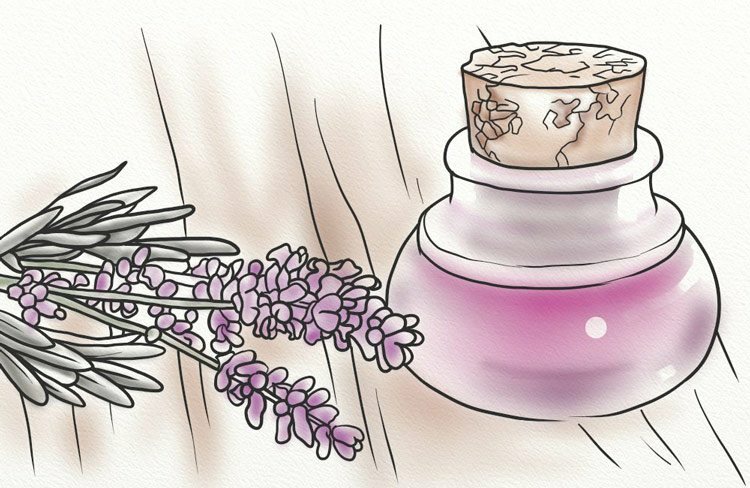 Lavender heals scalp irritations and infections and can treat a flaky and dry scalp. As a little bonus, it’s also an insect repellant which wards off parasites like ticks, head lice, fleas etc. Lavender can be also used in combination with oils such as coconut oil or olive oil. The most effective recipe for hair growth is to mix 10 drops of lavender oil, 10 drops of rosemary oil, 4 drops o jojoba and 4 drops of basil. Peppermint leaves contain moisturizing oil that is anti-inflammatory and anti-feudal. Peppermint helps to heal environmental, damage and microbial damage and improves hair growth by stimulating hair follicles. It penetrates deep within the follicles thus improving hair growth. Moreover, peppermint is an astringent cleaner, so it can clear pores and allow the scalp to bring and get rejuvenating oxygen to the follicles. Note that peppermint oil is a derivative, so people with sensitive scalps should dilute it before applying. Just mix it with carrier oil or water, it will minimize chances to burn the scalp. Ratio of peppermint oil is higher when mixed with olive oil. Mix two teaspoons of olive oil with one teaspoon of peppermint oil and apply to the scalp. Wash your hair after 20 minutes, and then apply your regular conditioner. Silica, one of the main ingredients present in the horsetail, provides strength to the hair and prevents their breaking and thinning. 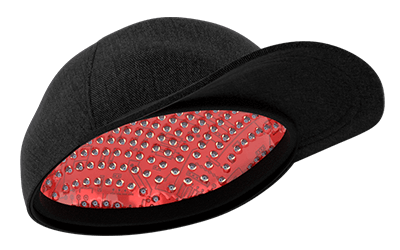 It also prevents further hair loss and improves hair re-growth. 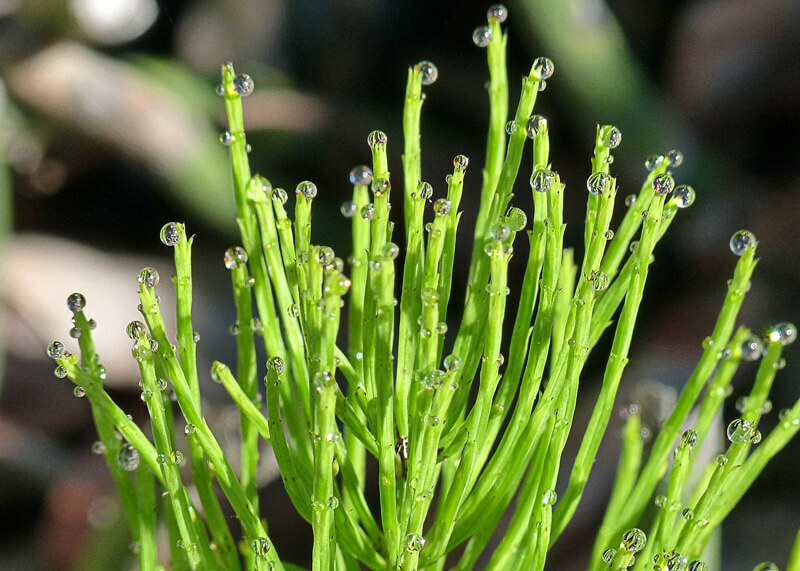 Horsetail is used in many products for hair growth that you can find on the market. Horsetail contains flavonoid and quercetin with anti-viral and anti-allergy capabilities as well as nutrients that repair hair damage. 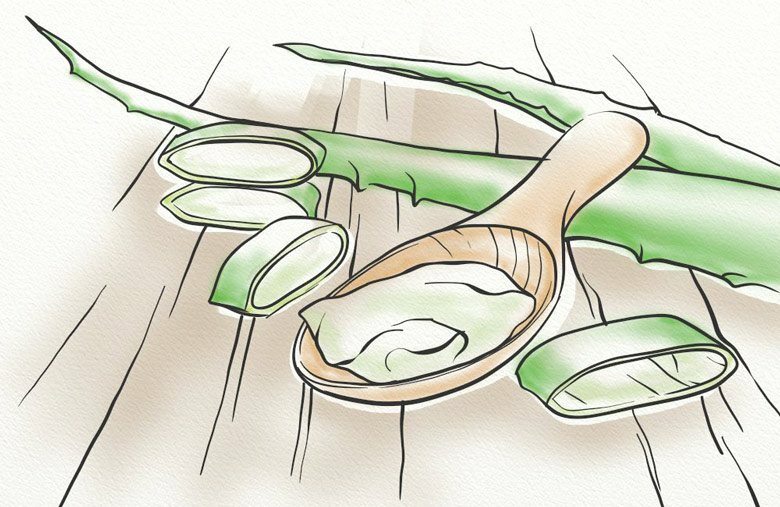 To prepare horsetail, steep one part of it in two parts of water for two hours. People with dry skin and hair should note that horsetail is an antiseptic that could dry out your hair. However, it’s a perfect remedy for people with oily hair since it eliminates excessive oiliness. 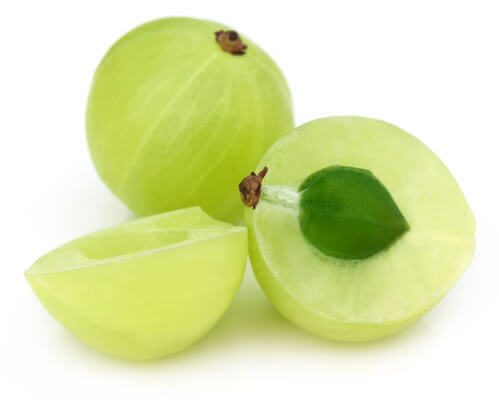 Amla, or Indian Gooseberry, contains many important anti-oxidants like Vitamin C which are needed for collagen production. Collagen increases the strength of new hair. Besides, amla prevents premature graying of hair. Amla oil, applied to hair ends, prevents split ends. Cut fresh amla fruit and leave it for drying then grind it up until powdered. Add this powder to coconut oil, mix them together, add mixture to a pan and hit on a low flame unless fumes start to appear. Allow it to cool and apply to your scalp. 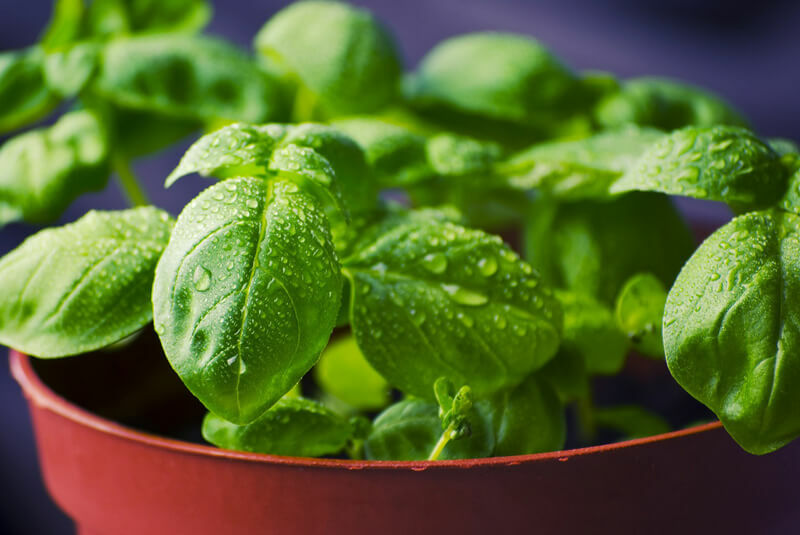 Basil contains magnesium, an overlooked mineral that is responsible for different chemical processes in our bodies. Magnesium oil has also been shown to reduce calcification in the scalp resulting in increased hair growth. When applied to scalp or hair, it strengthens hair, acts as anti-inflammatory and improves circulation of blood which stimulates growth. It’s a great moisturizer which eliminates dry and brittle hair. It also restores healthy luster. Herbs can either be used topically, by massaging them into the scalp, or they can be taken internally as a food source. 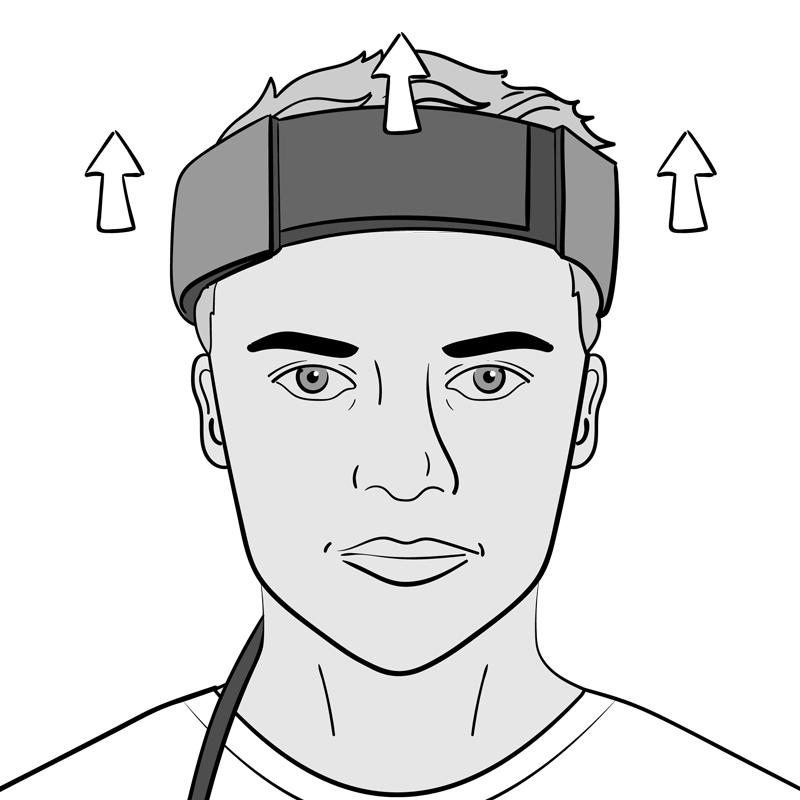 For of these methods have advantages and it shouldn’t be an either/or choice; you can use both methods effectively. Massaged into the scalp, the herbs help to stimulate circulation, unclog hair follicles, sooth the scalp and even block DHT directly. The advantage on blocking DHT directly on the scalp using these herbs is that you don’t experience any of the side effects typically associated with blocking DHT internally. However, it can be inconvenient to use the herbs on your scalp everyday. It can get messy to prepare, apply and clean them. Making herbal teas is a great way to extract the beneficial substances from the herbs so that your body can absorb them. Herbal teas have been used for millennia to cure certain ailments because hot water is an excellent way to extract what your body needs from the plant. Another great way to benefit from these herbs is in smoothies. You can add aloe vera, peppermint and basil to smoothies with out wanting to throw up, and you’ll benefit from a wider spectrum of trace minerals and other substances than you would just from a herbal tea. Learn about gotu kola for hair loss. For your body to make the most of any food substance and get the most hair growing properties from the plant you should optimise your body for maximum absorption. This means having a clean and well functioning digestive system. Healthy gut bacteria are very important for proper digestion and assimilation of the nutrients and minerals from your food, and the same goes for these spices. Your digestive tract should be clean and free from mucus so that nutrients can be easily absorbed and waste products can be easily removed. This may mean going through a detox program which will benefit your hair immensely. How would you use aloe vera topically? Shampoo or oil or…I know there are a lot of shampoos based on it but maybe oil is better? Hi Bruno, a hair mask is probably the most effective way to make use of Aloe Vera. You want the ingredients to stay in contact with the hair and scalp for as long as possible and a mask (along with a few other ingredients) is probably the best way to do this.